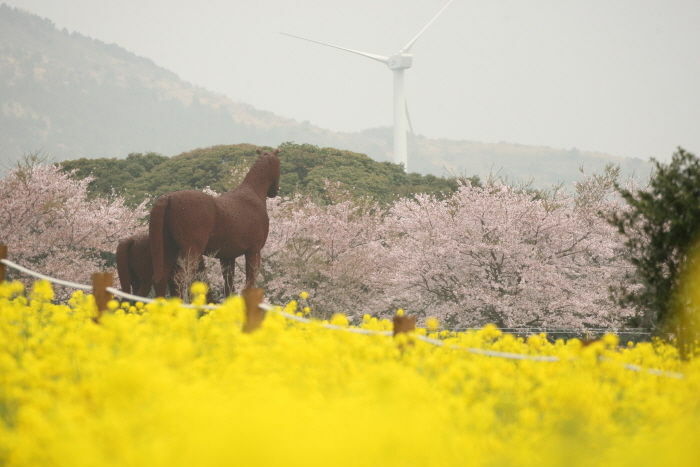 The Jeju Canola Flower Festival is one of the most famous festivals in Jeju, signaling the start of spring with fields upon fields of bright yellow flowers. Large numbers of visitors come to the festival every year to take in this beauty. In addition to enjoying the vibrant landscape, visitors can participate in a variety of festival events that showcase the unique spirit of Jeju Island.